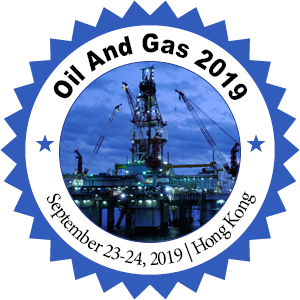 Conference Series LLC Ltd welcomes you to attend the 11th Asia Pacific Congress on Oil and Gas during September 23-24, 2019 in Hong Kong. We cordially invite all the interested participants in sharing their knowledge, research and gaining the information in the area of petroleum and its allied areas. 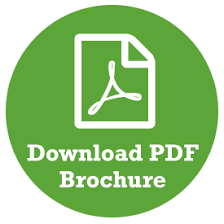 Oil and Gas 2019 provides a platform for researcher scholars, scientists and academic people to share and globalize their research work while the participants from industry/ business sectors can promote their products thus felicitating dissemination of knowledge. We anticipate more than 300 participants around the globe with thought-provoking keynote lectures, oral and poster presentations. The attending delegates include Editorial Board Members of related journals. The scope of Oil and Gas 2018 is to bring the advancements in the field of petroleum, natural gas and its allied areas. Petroleum is a thick liquid mixture of hydrocarbons occurs naturally and found in geological formations under the Earth's surface. It is extracted and refined into various types of fuels including petrol, paraffin, diesel oil. Petroleum components are separated using a technique called fractional distillation. Crude oil is a naturally occurring, foul or unrefined mixture of hydrocarbons and other organic materials. These are separated into useful products, such as fuels, using a process called fractional distillation. Brent Blend is a combination of crude oil from 15 different oil fields in the North Sea. Shale oil is a type of unconventional oil that found in shale formation. Since it is a high-quality crude oil new technology has allowed this oil to come to market at a competitive oil price. As a result, oil Future prices have dropped. Extraction of shale oil is an industrial process. This process converts kerogen in oil shale into shale oil by hydrogenation or pyrolysis or thermal dissolution. Natural gas is a fossil fuel used as a source of energy. It is a flammable gas, consisting largely of methane and other hydrocarbons, occurring naturally underground (often in association with petroleum) and used as fuel. It is also used as a chemical feedstock in the manufacture of plastics and other commercially important organic chemicals. Fossil fuel based natural gas is a non-renewable resource. Shale gas resources are found trapped within shale formations that contain significant accumulations of natural gas and oil. Shale gas has become an increasingly important source of natural gas hence large-scale natural gas production has begun around 2000, and interest has spread to potential gas shales in the rest of the world. Fossil fuel is a general term for buried combustible geologic deposits of organic materials, formed from decayed plants and animals that have been converted to crude oil, coal, natural gas, or heavy oils by exposure to heat and pressure in the earth's crust over hundreds of millions of years. a natural fuel such as coal or gas, formed in the geological past from the remains of living organisms. A biofuel is a hydrocarbon fuel that is produced from organic matter in a short period of time through contemporary biological processes, such as agriculture and anaerobic digestion. Biofuels can also be made through chemical reactions, carried out in a laboratory or industrial setting, that use organic matter (biomass) to make fuel. Gasoline is a volatile flammable liquid hydrocarbon mixture derived from petroleum. It is used as a solvent and fuel for internal combustion engines and usually blended from several products of natural gas and petroleum. It consists of organic compounds obtained by the fractional distillation of petroleum, enhanced with a variety of additives. Biodiesel is a fuel that is made from natural elements such as plants, vegetable and reusable materials. The process used to convert these oils to Biodiesel is called transesterification. Biodiesel is typically made by chemically reacting lipids with an alcohol producing fatty acid esters. Biodiesel can be used in injection pump diesel engines as a pure form or it may be blended with petroleum diesel at any concentration. Biodiesel has different solvent properties than petrodiesel and will degrade natural rubber gaskets and hoses in vehicles. Hydrocarbons are organic chemical compounds composed only of the elements carbon (C) and hydrogen (H). The carbon atoms join together to form the framework of the compound, and the hydrogen atoms attach to them in many different configurations. Hydrocarbons are the principal component of petroleum and natural gas. They serve as fuels and lubricants as well as raw materials for the production of plastics, fibers, rubbers, solvents, explosives, and industrial chemicals. Oil refinery or petroleum refinery is an industrial process plant that refines crude oil into petroleum products such as diesel, gasoline and heating oils. Petroleum refineries are very large industrial complexes that involve many different processing units and auxiliary facilities such as utility units and storage tanks. A refinery is considered an essential part of the downstream side of the petroleum industry. Fractional distillation is the separation of a mixture into its component parts, or fractions by heating them to the temperature at which one or more fractions of a mixture will vaporize. The various components of crude oil have different sizes, weights and boiling temperatures, crude oil is evaporated, and its vapors condense at different temperatures in the fractionating column. Each fraction contains hydrocarbon molecules with a similar number of carbon atoms and a similar range of boiling points. A petroleum reservoir or oil and gas reservoir is a natural subsurface pool of hydrocarbons, oil, gas, water where they can move, and its shape is determined by the relationship between reservoir rock and its permeable rocks. Petroleum reservoirs are classified as conventional reservoirs and unconventional reservoirs. An oil well is a hole dug into the earth that is designed to bring oil or other hydrocarbons to the surface. Oil wells almost always produce some natural gas and frequently bring water up with the other petroleum products. Usually, some natural gas is released along with the oil. A gas well is a boring in the earth that is designed to produce mainly or only gas. Most gas wells frequently produce some condensate (natural gas liquids such as propane and butane) and occasionally produce some water. Petrochemistry is a branch of chemistry that relates with the composition and formation of rocks and how crude oil (petroleum) and natural gas are transformed into raw materials and other useful products. Nowadays, such resources are considered an integral part of the modern economy which makes petrochemistry an incredibly valuable field and it became an essential part of the chemical industry today. A drilling rig is a machine that creates holes in the earth subsurface. Drilling rigs can be massive structures housing equipment used to drill water wells, oil wells, or natural gas extraction wells, or they can be small enough to be moved manually by one person and such are called augers. Drilling rigs can sample subsurface mineral deposits, test rock, soil and groundwater physical properties, and also can be used to install sub-surface fabrications, such as underground utilities, instrumentation, tunnels or wells. Ores recovered by mining include metals, coal, oil shale, gemstones, limestone, chalk, dimension stone, rock salt, potash, gravel, and clay. Mining is required to obtain any material that cannot be grown through agricultural processes or created artificially in a laboratory or factory. Mining in a wider sense includes extraction of any non-renewable resource such as petroleum, natural gas, or even water. Enhanced oil recovery is the implementation of various techniques for increasing the amount of crude oil that can be extracted from an oil field. Enhanced oil recovery is also called tertiary recovery. According to the US Department of Energy, there are three primary techniques for EOR: thermal recovery, gas injection, and chemical injection. An oil field is a region with an abundance of oil wells extracting petroleum (crude oil) from below ground. Because the oil reservoirs typically extend over a large area, possibly several hundred kilometers across, full exploitation entails multiple wells scattered across the area. Petroleum geology is the study of origin, occurrence, movement, accumulation, and exploration of hydrocarbon fuels. It refers to the specific set of geological disciplines that are applied to the search for oil exploration. Alkylation is the transfer of an alkyl group from one molecule to another. The alkyl group may be transferred as an alkyl carbocation, a free radical, a carbanion or a carbene (or their equivalents). An alkyl group is a piece of a molecule with the general formula CnH2n+1, where n is the integer depicting the number of carbons linked together. In oil refining contexts, alkylation refers to a particular alkylation of isobutane with olefins. For upgrading of petroleum, alkylation produces synthetic C7–C8 alkylate, which is a premium blending stock for gasoline. Ammonia is a source of nitrogen in agricultural fertilizers and petroleum is used in its production. To ensure healthy crop yields, pesticides are used in agriculture and pesticides are produced from oil. Petroleum-based products are used from running farm machinery to fertilizing plants in agriculture. Plastics which include ethylene and propylene come from olefins (Alkenes) which are derivatives of petroleum. Nylon, Polystyrene, polyvinyl chloride plastics which are integral aspects of many manufactured products is the most successful petroleum-based plastic. An oil spill is the release of a liquid petroleum hydrocarbon into the environment, especially the marine ecosystem, due to human activity, and is a form of pollution. The term is usually given to marine oil spills, where oil is released into the ocean or coastal waters, but spills may also occur on land. Oil spills may be due to releases of crude oil from tankers, offshore platforms, drilling rigs and wells, as well as spills of refined petroleum products (such as gasoline, diesel) and their by-products. The petroleum industry, also known as the oil industry or the oil patch, includes the global processes of exploration, extraction, refining, transporting (often by oil tankers and pipelines), and marketing of petroleum products. The largest volume products of the industry are fuel oil and gasoline (petrol). 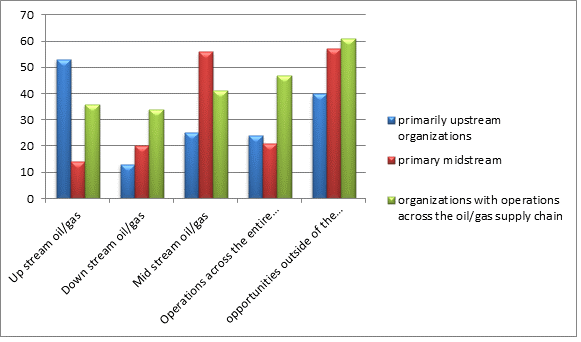 The industry is usually divided into three major components: 1) Upstream, 2) Midstream and 3) Downstream. The upstream sector includes searching for potential underground or underwater crude oil and natural gas fields, drilling exploratory wells, and subsequently drilling and operating the wells that recover and bring the crude oil or raw natural gas to the surface. There has been a significant shift toward including unconventional gas as a part of the upstream sector, and corresponding developments in liquefied natural gas (LNG) processing and transport. The midstream sector involves the transportation, storage and wholesale marketing of crude or refined petroleum products. Pipelines and other transport systems can be used to move crude oil from production sites to refineries and deliver the various refined products to downstream distributors. Natural gas pipeline networks aggregate gas from natural gas purification plants and deliver it to downstream customers such as local utilities. The downstream sector is the refining of petroleum crude oil and the processing and purifying of raw natural gas, as well as the marketing and distribution of products derived from crude oil and natural gas. The downstream sector reaches consumers through products such as gasoline or petrol, kerosene, jet fuel, diesel oil, heating oil, fuel oils, lubricants, waxes, asphalt, natural gas, and liquefied petroleum gas (LPG) as well as hundreds of petrochemicals. Oil and Gas have naturally occurred chemicals that are made up of just two elements Hydrogen and Carbon. Nowadays Oil and natural gas reserves are found in many parts of the world. In the past, demand was low and reserves were easy to find. In fact, the first users of oil depended on surface oil excretion for their supplies. However, as demand has increased, all easily found oils have been used. Today, oil exploration takes place in some of the most challenging places on earth. Now all are surveying for new oil reserves thousands of feet under the ocean and lands. This session explains about Hydrocarbons and Hydrocarbon Reservoir, the formation of Oil and Natural Gas, refining of crude oil and its restoring, pipelines for refined oils, natural Gas exploration and production. The market size is projected to reach USD 1.99 Billion by 2021, at a CAGR of 5.07% between 2016 and 2021 in the oil & gas industry. The increasing demand in the oil & gas industry for non-corrosive and lightweight materials. Also, the low maintenance cost of composites are the key drivers of the global market of composites in oil & gas industry. In Present days, there is a worldwide demand for Oil and Gas which is not going to decline for decades. Environmental Impact Assessment expects global consumption of petroleum and oil fuels to continue to grow by 1.5 million b/d in 2017 and by 1.9 million b/d in 2018. On account of repository attributes and constraints in petroleum extraction innovations, just a small amount of this oil can be conveyed to the surface, and it is just this producible part that is thought to be stored. Dubai, UAE, Qatar, and countries in Asia hold among the most important sites present in the world Oil and Gas scenario and world conserve. There are also continental Oil and Gas growths, Challenges and issues in Oil and Gas developments, Gas industry and profession, Global Price influence and Price Monitoring and maintenance of reserves which control the Fuel economy. The market size is projected to reach USD 1.99 Billion by 2021, at a CAGR of 5.07% between 2016 and 2021 in oil & gas industry. The increasing demand in the oil & gas industry for non-corrosive and lightweight materials. Also, the low maintenance cost of composites are the key drivers of the global market of composites in oil & gas industry. Millions of years ago small animals and plants died and fell to the bottom of the sea. Their remains were covered by mud. The mud eventually turned to rock. This rock put a lot of pressure on the dead animals and plants. Rocks around them also heated them up. Together the heat and the pressure turned the remains into crude oil in the absence of Air or Oxygen. A stone that has made oil and gas thusly are known as a Reservoir Rock. Rocks above the oil were impermeable (not porous). The oil could not float upwards through these rocks and so it gets trapped underneath it. Geologists - rock scientists - can often tell where oil may be trapped. Oil companies drill down through the porous rocks to get crude oil out. Then they turn it into a useful product by Fractional Distillation method. 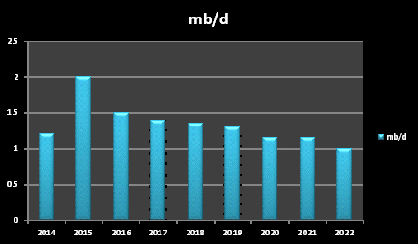 The market size of Crude oil is estimated to grow from USD 1.26 Billion in 2015 to USD 1.73 Billion by 2021, at a CAGR of 5.5%. Increase in the hydraulic fracturing from unconventional sources and an increase in crude oil production is driving the market. The upstream section surrounds the field related to observing, recovering and producing crude oil and natural gas hence it is also known as Exploration and Production (E&P) sector. Upstream is the first progressive step in the oil industry. These activities are all about wells: where to detect them; how deep and how far to drill them; and how to outline, employ, operate and manage them to deliver the greatest possible return on investment with the brightest, safest and shortest operational foot mark. The second progressive part in Oil and Gas Industry is the Midstream Processes which provides the link between natural gas being produced at a source and then fulfilling society’s need for energy and by-products. The midstream segment surrounds facilities and processes that sit between the upstream and downstream segments. Activities include processing, storage and transportation, End Developers and Operators, Fire Protection and Emergency Response and Crude Oil Exports. This session represents Upstream Process Development, Advances in Extraction Technologies, Smart Drilling and Production, Spilling and ESI Mapping, GSI Technology Innovation, Chemical Processes, Seismic Technologies, Recovery Technologies, Programming for Oil and Gas, Terminal Developers and operations, Oil Transport and Logistics, Distribution of Crude oil to Refineries, Mapping and Route Optimization. This area works on the chemical analysis and the chemical process engineer as it covers the character, properties and processing aspects of heavy oil, tar sand bitumen, and residues. It also addresses the environmental aspects of the production range of petroleum and its recovery, refining, and use. Petroleum science relates also and in toxicological studies of petroleum. By offering articles that relate to the sci to Petrochemistry scientific and processing aspects of petroleum, Petroleum Science and Petroleum Technology serves as a media for the science and technology of petroleum. This session represents with Petroleum Geology, Petrophysics, Toxicology, Petrochemistry, Petroleum Desulphurization Techniques, Computational Modeling Techniques. Foul or unrefined oil is in a like manner generally called as "Dark Gold". Oil and Gas are hydrocarbons as they are the compound of carbon and hydrogen particles. By the development in temperature, a common matter is at first changed into lamp fuel, which is a solid kind of hydrocarbon. At around 90°C, it is changed into a liquid state, which is oil and at around 150°C, it is changed over into a gas. A stone that has made oil and gas is known as a Source Rock. Raw petroleum creation is described as the measures of oil removed from the earliest starting point the departure of inert matter or pollution It fuses foul oil, regular gas liquids, and included substances. This pointer is measured in thousand ton of oil corresponding. Crude oil is a mineral oil containing a mix of hydrocarbons of an ordinary cause, yellow to dim in shading and of variable thickness and consistency. NGLs are the liquid or softened hydrocarbons conveyed in the manufacture, purifying and conformity of regular gas. Included substances are non-hydrocarbon substances added to or blended with a thing to change its properties, for example, to upgrade its start qualities (e.g. MTBE and tetraethyl lead). Refinery makes implies the yield of assistant oil things from an oil refinery. Biofuels are a hot ecological theme right now. The part of the biofuel business is not to supplant oil diesel totally, but rather to help in making an adjusted vitality arrangement with the most advantage. Biodiesel is one of a few conceivable fills intended to augment the handiness of oil, and the lifespan and cleanliness of diesel motors. Biofuels carbon impartial growing a tree and after that consuming it as a biofuel doesn’t add any carbon dioxide to the air or exacerbate a dangerous atmospheric deviation to any extent. Biodiesel is intended to be utilized as a part of standard diesel motors and along these lines particular from the vegetable and waste oils used to fuel changed over diesel motors. Biodiesel can be utilized alone or mixed with Petro diesel in any extents. This session covers the brief introduction on Biofuels and Biodiesel, advancements in Liquefied natural gas (LNG), Compressed natural gas (CNG), latest researches on biofuels and biodiesel, shale gas and shale oil, natural gas and its derivatives. Global Biodiesel Market Size Worth $57.8 Billion gallons by 2020. Petroleum Geology is the study of origin, reoccurrence, evolution, inflation, and exploration of hydrocarbon fuels. It attributes to the specific set of geological disciplines that are applied to the search for hydrocarbons. Petroleum geology is basically concerned with the valuation of seven elements in sedimentary basins; Source, Reservoir, Seal, Trap, Timing, Maturation, and Migration. In general, all these factors must be predicted by a confined window into the subsurface world, provided by one or possibly more exploration wells. These wells present only a 1-D segment through the Earth and the skill of interpreting 3-D characteristics from them is one of the most fundamental in petroleum geology. Lately, the possibility of economic, high-quality 3D seismic data and data from various electromagnetic Geophysical techniques such as Magnetotellurics has greatly assisted the accuracy of such analysis. Geoscience is a widely grasp term for the fields of science related to the Earth. It is the branch of science dealing with the physical structure of the earth and its atmosphere. In the most recent decade, the real zone of industry intrigue has been the seaward locale of Alaska and Canada. The natural conditions fluctuate altogether in each of these areas. Major factors that affect normal offshore operations are Extremely cold temperatures, Fog Gusty, winds Short open-water season, Permafrost, Persistent ice. The specific production system that is selected must be tailored to each unique combination of these factors to ensure safe oilfield development. Advanced methods like Digital Oil Field, Remotely Operate Underwater Vehicles are enhancing the offshore techniques. The global offshore wind market is projected to reach USD 55.15 Billion by 2022, at a CAGR of 15.35% from 2016 to 2022. The growth of Offshore Technology is attributed to the increasing demand for clean energy in order to cut down carbon emissions and protect the environment by generating electricity through renewable resources.. The oil is moved through the pipelines by pump stations along the pipeline. Natural gas is lightly pressurized to liquids and moved through the pipelines. Usually, Oil pipelines are buried and its made from carbon steel or plastic tubes. Today Companies use oil storage as a strategic tool to increase profits in the global market. Companies can purchase oil at low prices and wait until prices rise before selling. A ‘contango’ is a condition in the oil market where it is expected that people will be willing to pay more in the future than at the current price. Global crude oil pipeline length is 538 thousand miles by 2020 | Global Natural gas pipeline length is 2651 by 2020. The global crude oil and Natural Gas pipelines market will grow moderately during the next four years and estimate the total length of crude oil pipelines to reach almost 538 thousand miles by 2020 and natural gas pipeline length may reach more than 2651 miles. A growing workforce combined with a blast in new oil and gas improvement is making challenges for vitality organizations in the ranges of enlistment, maintenance, and preparing. The oil and gas industry is confronting a contracting ability pool for those with a particular skill. An expansive rate of the people who have the institutional and innovative "know-how" of their association's dangers and operations are looking toward retirement. Almost 90 percent of senior HR administrators at 22 best universal oil and gas organizations trust this issue is one of the top business issues confronting their organizations. The global Well intervention market is expected to grow from an estimated USD 8.18 Billion in 2017 to USD 9.85 Billion by 2022, at a CAGR of 3.78%, from 2017 to 2022. the factor driving the good intervention market include an increase in oil and gas production and quality in global energy demand. A focus on renewable energy is raising and strict government regulations on Production and Exploration activities are key restraints for the growth of well intervention market. Nanomaterials and their associated manufacturing and processing technologies are the key enablers of nanotechnology industry and encompass a wide range of materials. Nanomaterials typically measure in the range of 1 to 100 nanometer (nm). This means clusters of atoms or grains less than 100 nm in size, fibers less than 100 nm in diameters and films with thickness less than 100 nm. Because of high costs and greater risk of adopting new technologies, the application in oil and gas industry has not been fully discovered. However, the quest for efficiency in the current economic situation has been the drilling force behind the development of new technologies. The market size is projected to reach USD 1.99 Billion by 2021, at a CAGR of 5.07% between 2016 and 2021 in oil & gas industry. The increasing demand in the oil & gas industry for non-corrosive and lightweight materials. Also, the low maintenance cost of composites are the key drivers of the global market of composites in oil & gas industry..
Corporate Social Responsibility (CSR) has emerged as a business approach for addressing the social and environmental impact of company activities. Companies from the oil and gas sector have been at the center of CSR development. As forecasting placed on business, one needs to ask if CSR is able to fulfill these huge expectations. Therefore, the aim of this article is to analyze CSR’s potential and limitations for contributing towards wider societal challenges. This examines the key areas of CSR policies where oil companies are anticipating making a positive contribution improvement in environmental performance, development and governance. General dangers apply to each stock, for example, administration hazard, however, there are additionally more focused dangers that influence that industry. Governmental issues can powerfully affect business, and that is particularly valid in the vitality business. Government controls and strategies frequently can represent the moment of truth an oil and gas organization. The political environment can be strong of the business group, antagonistic to business advancement, and now again nonpartisan. Many oil and gas officials would be happy with the last mentioned; they simply would prefer not to government to be an obstacle to investigation and advancement. Oil and gas organizations tend to incline toward nations with stable political frameworks and a past filled with conceding and implementing long-haul leases. Oil and gas contributing aren't going anyplace. The petroleum industry incorporates the worldwide procedures of investigation, extraction, refining, transporting (frequently by oil tankers and pipelines), and advertising petroleum items. The biggest volume results of the business are fuel oil and gas (petrol). Petroleum is indispensable to numerous enterprises and is of significance to the support of mechanical human progress in its present arrangement, and accordingly is a basic sympathy toward numerous countries. Oil represents a substantial rate of the world's vitality utilization, extending from a low of 32% for Europe and Asia to a high of 53% for the Middle East. Oilfield support companies provide services to the petroleum production and petroleum exploration industry, but commonly they don't produce petroleum themselves. There is huge oil and gas services industry - it includes companies that supply everything from mats for oil rigs to tracking software. The importance of having a marketing plan and budget gives the company a roadmap for uniformity in branding, promoting and ultimately selling their products and services. Ethics and Regulations in Oil and Gas industry covers a wide range of business practices and procedures which includes Commercial and Legal matters, Legal Structures, Health and Safety, Environment, Quality (HSEQ) Policy and Security, Uncontrolled Shale Gas Emissions, Legal, Revenue System and Contracts, Energy Security and Geopolitics of Oil and Gas and Intellectual Property Rights. The particular creation framework that is chosen must be customized to every one of a kind mix of these components to guarantee safe oilfield advancement. Lately, the news media and a few exchange diaries provided details regarding grievous mischances connected with seaward penetrating. These occurrences have highlighted threats, pulling in the consideration of people in general and administrative offices to the business security perils. One of the impediments to evaluating the degree of the issue is an absence of enough information revealing. Right now, seaward and inland mishap information coexists in a class named investigation and generation. A couple of systematic reviews are preparatory and don't give enough proof to indisputably figure out whether oil and gas operations cause well-being impacts in nearby populations. Oil and Gas Congress 2019facilitates a unique platform for transforming potential ideas into great business. The meeting creates a global platform aimed to connect global Entrepreneurs, Proposers and the Investors in the field of Petroleum, oil and gas. It's allied sciences to develop and facilitate the most optimized and viable business for engaging people in constructive discussions, evaluation and execution of a promising business. Oil and Gas 2019 is the platform to gain or share the knowledge in the new technological developments in the field of petroleum engineering. This conference brings together professors, researchers, scientists and students in all the areas of Petroleum Engineering, oil and gas engineering services which provides an international forum for the spreading of approved research results, innovative ideas and practical developments. We are glad to welcome you all to attend the 11th Asia Pacific Congress on Oil and Gas. The organizing committee is gearing up for an interesting and great informative conference program including plenary lectures, symposia, workshops on a variety of topics, poster presentations and various programs for participants from all over the world. We invite you to join us at the Oil and Gas2019, where you will be sure to have a meaningful experience with scholars from around the world. Petroleum is a field of engineering worried with the sports associated with the production of hydrocarbons, which may be either crude oil or herbal gas. Exploration and Production are deemed to fall in the upstream region of the oil and gas industry. Exploration, by earth scientists, and petroleum engineering are the oil and gas enterprise's two essential subsurface disciplines, which cognizance on maximizing monetary restoration of hydrocarbons from subsurface reservoirs. Petroleum geology and geophysics focus on provision of a static description of the hydrocarbon reservoir rock, even as petroleum engineering makes a specialty of estimation of the recoverable extent of this resource the use of an in-depth knowledge of the bodily behavior of oil, water and gas within porous rock at very excessive strain. The joint efforts of geologists and petroleum engineers during the existence of a hydrocarbon accumulation determine the manner wherein a reservoir is advanced and depleted, and generally they have the best effect on field economics. Petroleum engineering requires a very good understanding of many other associated disciplines, consisting of geophysics, petroleum geology, formation assessment (properly logging), drilling, economics, reservoir simulation, reservoir engineering, properly engineering, synthetic lift systems, completions and oil and gasoline centers engineering. Subsequent improvement training has generally been completed inside oil businesses because of Recruitment to the industry have historically been from the disciplines of physics, chemical engineering and mining engineering. According to current estimations, 81.5% of the arena's validated crude oil reserves are positioned in OPEC Member Countries, with most OPEC oil reserves in the Asia, amounting to 65.5% of the OPEC overall. OPEC Member Countries have made giant additions to their oil reserves in current years, as an instance, by using adopting excellent practices in the enterprise, knowing extensive explorations and enhanced recoveries. 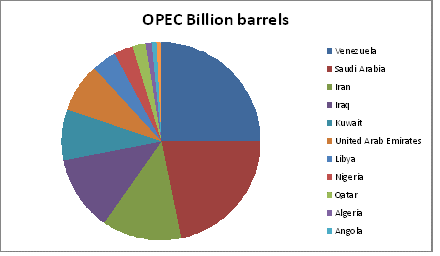 As result, OPEC's established oil reserves presently stand at 1,216.78 billion barrels. It indicates deep, strategic changes for sustainable boom past cyclical patterns. Amid a drawn-out restoration, nearly half of (49%) of 723 senior professionals surveyed anticipate their organizations to diversify into or growth investment in possibilities past oil and fuel this 12 months, although investments are still deliberate within the sector. Energy resources with lower carbon footprints are a clean goal, specifically as prices have fallen to the quantity that, in most cases, subsidies are not necessary for renewable electricity to be profitable. Quarters (26%) of respondents assume their commercial enterprise to invest or growth investments in renewables in 2017, and 59% regard this as a shift in lengthy-time period business strategy. In the research, forty-one% say their businesses have accurate knowledge of how to examine renewable electricity investments. Total, as an instance, has considerably accelerated cognizance on solar electricity and batteries. Global oil and gas upstream investment fell 25% in 2015 and every other 26% in 2016, affecting the major oil corporations and smaller independents alike. While investments within the US shale play are choosing up strongly, early indicators of world spending for 2017 aren't encouraging. “While the last success or failure of the manufacturing agreement cannot be judged for some time, it's far obtrusive that the output cuts, totaling 1.8 million b/d if completely applied, are taking location just as production from the non-OPEC zone as an entire, led by the US, is in reality convalescing—after falling in 2016 for the first time due to the fact that 2008—and while stocks of crude oil and merchandise are at record highs. Thank you for attending Oil and Gas 2018! 10th Asia Pacific Congress on Oil and Gas was successfully hosted by Conference Series Group in Bangkok, Thailand during December 03-04, 2018. The conference was organized around the Theme “Manifesting advancements in the field of Oil and Gas”. Active participation and generous response were received from the Organizing Committee Members, Editorial Board Members of Journals as well as from Eminent Scientists, Talented Researchers and Young Student Community. All the support and cooperation from the Organizing Committee Members, Researchers and the Speakers had made Oil and Gas 2018 is a successful event. Oil and Gas 2018 Organizing Committee would like to thank the Moderator of the conference, Abdolmohsen Shabib-Asl, CFREF Postdoctoral Research Fellow University of Calgary, Canada who contributed a lot for the smooth functioning of this event. We thank all the members who supported the conference by encouraging the healthy discussions. Conference Series Group expresses its gratefulness to the Organizing Committee Members, Chair and Co-chair, Editorial Board Members of OMICS Group journals, Speakers, Students, Sponsors, Exhibitors and Media Partners in making Oil and Gas 2018 a great success. Bookmark your dates: Let us meet again @ “11th Asia Pacific Congress on Oil and Gas” during September 23-24, 2019 at Hong Kong.